Walk to historic city market and downtown. Hotel features free wireless Internet, indoor pool/fitness center, and Comfort Sunshine Breakfast including: Belgian waffles, oatmeal, assorted cereals, bagels, juice and coffee. 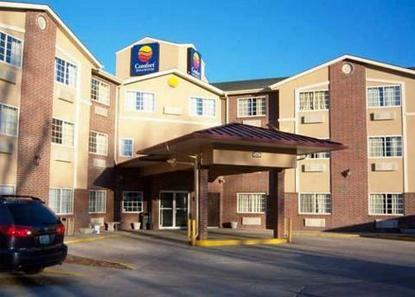 All rooms include: coffee makers, hair dryers, iron/board, 27 inch flat screen television, microwave and refrigerator. Whirlpool rooms available. Pet charge: 25.00 per pet per night up to 20 lbs. Pet limit one per room. A $100.00 cash deposit is required for cash paying guests. Hotel under renovations until November 30, 2008.